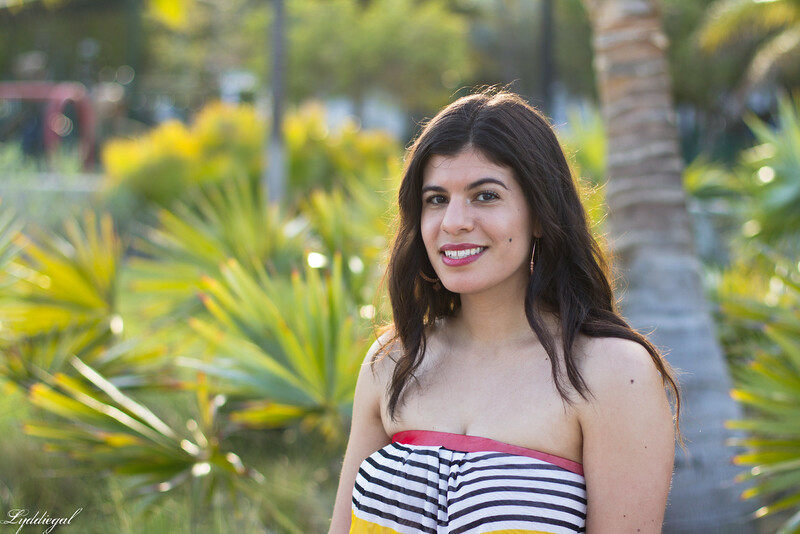 "I relax and fully experience life." One pattern I've noticed over the years is that I have a tendency to shop for a life I imagine more so than a life I have. Case in point, this dress, sitting in my closet new with the tags on for over two years. The perfect dress for a beach vacation, I thought at the time. While I was right, it took quite a bit of time for the stars to align and for this dress to get to the beach. This dress is so beautiful on you! 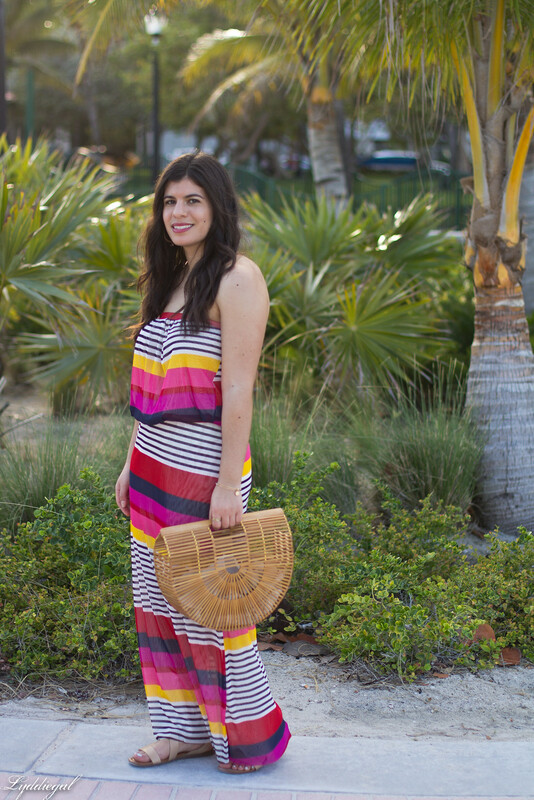 With all the pretty brights, it's definitely the perfect beach dress! You are such a doll! I absolutely love these colors to pieces! 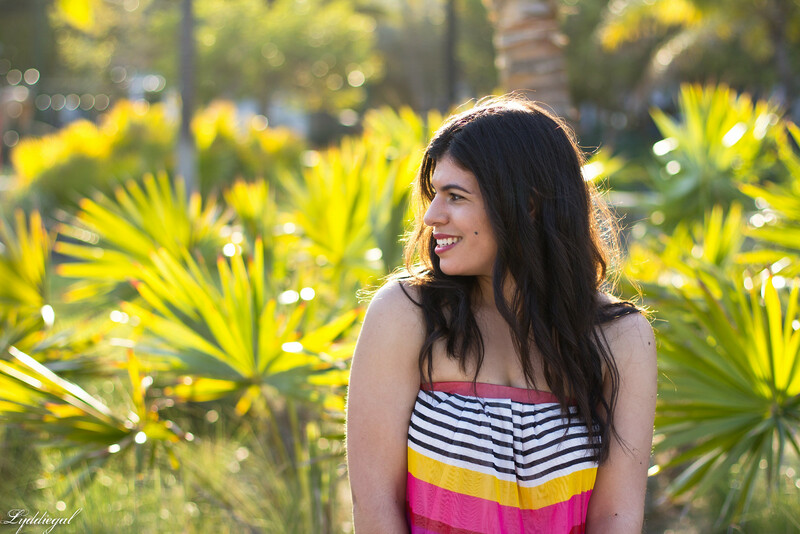 I hope you'll come over and link up this gorgeous dress and your beautiful smile! Well...at least you finally got the perfect chance to wear it, Lydia!! And you're right---it's the epitome of beach wear! 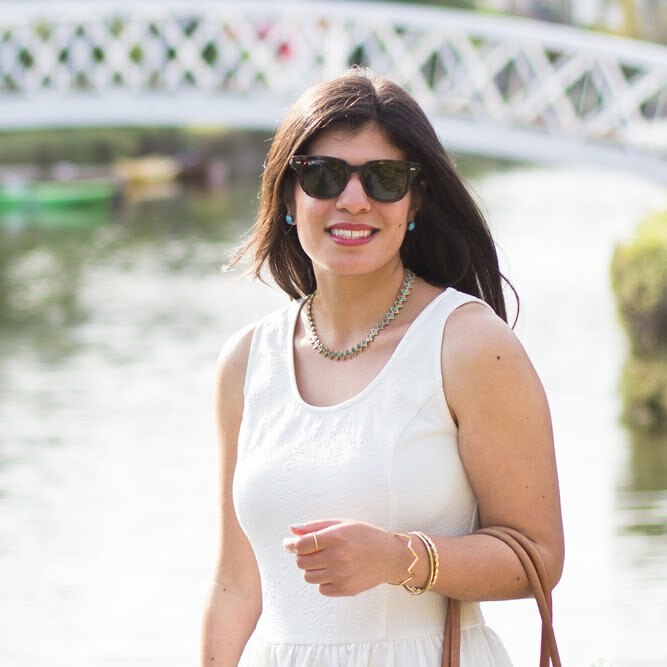 What an amazingly adorable and springy look! The stripes are so flattering, too. I'm so glad this dress finally got to have its (literal!) day in the sun, because you were totally right about it, even if it was two years ago - it's the perfect dress for a beach vacation. The vibrant colours suit you perfectly and, admittedly, I love the way your lipstick coordinates with them, too. (I am a sucker for matching, what can I say?) 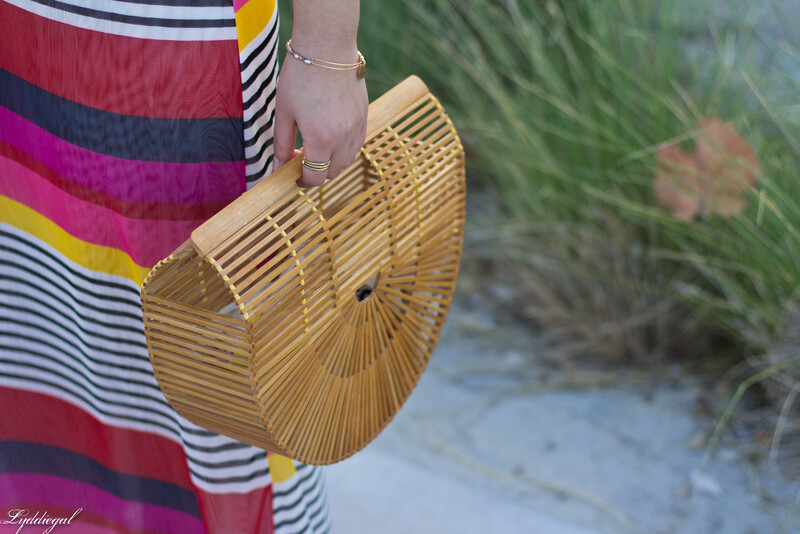 But I have to admit that I think your bamboo bag is my favourite part of this look, I can't think of a better place to carry one than Miami! This dress is amazing on you!!! That dress is totally perfect for a beach vacation...even if you had to sit on it for a while before it came into service. It's really lovely and vibrant. Such a pretty dress Lydia, besides you can also wear it this upcoming summer. Love your dress! It definitely makes me get excited for vacation time! And I love that bag! 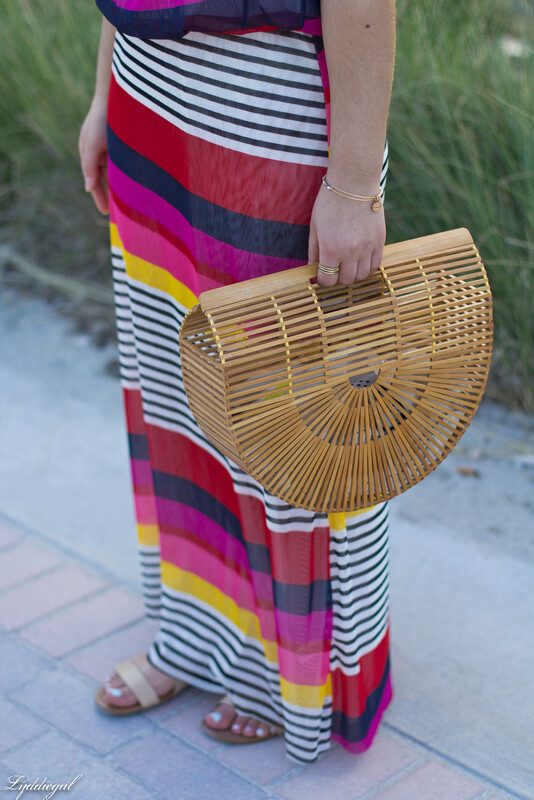 That rainbow beauty is the perfect beach maxi and that bamboo purse is the perfect beach bag too. I am glad you kept your jewelry minimal here and let the pretty dress shine! LOL I often shop the same way. I have really been trying not to lately because now that I stay home part time with our little girl and date nights are far less frequent, it's really gotten impractical. I am so glad you got the opportunity to wear this dress because it is beautiful! Glad you finally got to wear it! 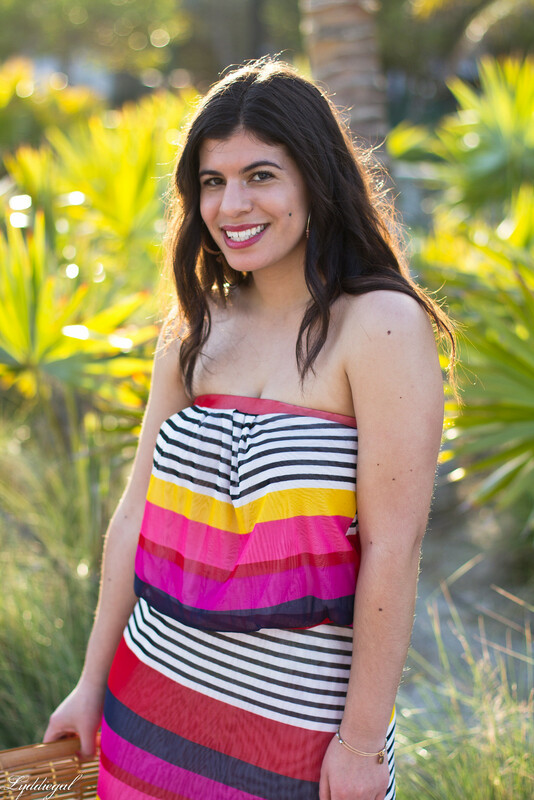 I love the gorgeous bright colors and stripes! 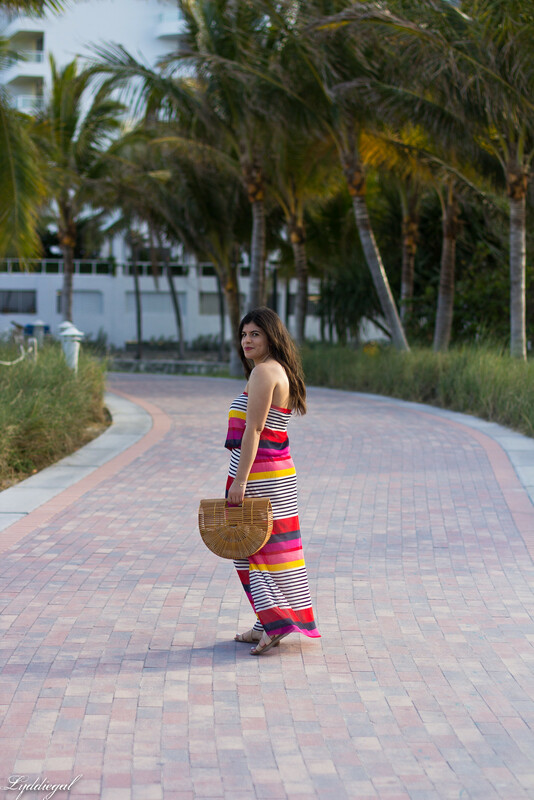 That is the perfect vacation dress! The bag looks great too. 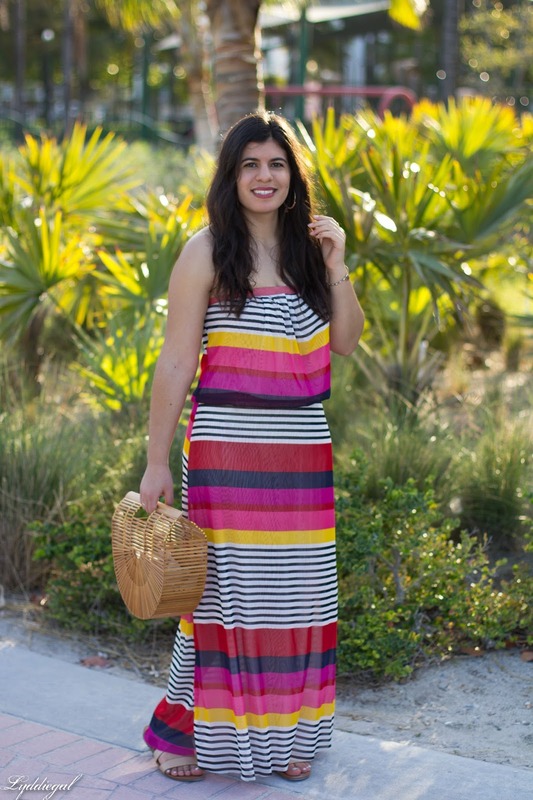 That is the perfect beach vacation dress! 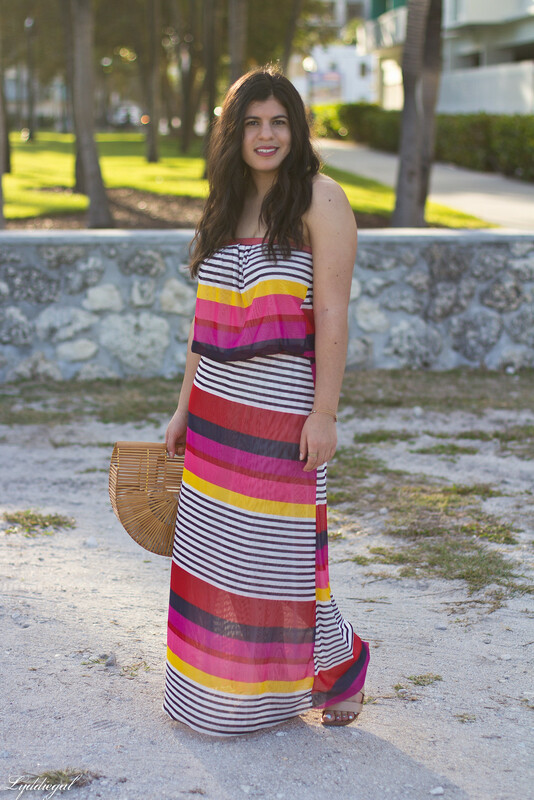 Love the colorful stripes! That bag is so cute! I love this dress! Definitely perfect for vacation! I used to do the same with my wardrobe, my buying habits didn't reflect the life I was living, so that's when I made my "have to wear it twice in the month I buy it" rule. It seems to be working, with only a handful of exceptions over the years. Of course I'm now trying to make sure I continue to wear things and not toss them aside when I get new things, ha! It's a tricky thing to master your wardorobe I think! stunning dress! Those colors are superb and sooo bright! LOVE IT!